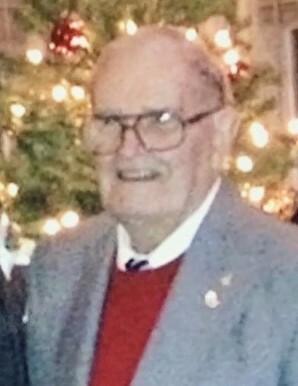 Robert M. Flaherty, 92, of Ladd, died November 22, 2018 in St. Margaret’s Hospital in Spring Valley. Mass of Christian burial will be 11:00 AM Tuesday in Nativity of Our Lord Church in Spring Valley with Administrator Rev. Scott Potthoff officiating. Burial will be in Valley Memorial Park. Visitation will be in the church on Tuesday from 10:00 AM until time of services. The Hurst Funeral Home in Ladd is handling his arrangements. Mr. Flaherty was born in Spring Valley on April 4,1926 to Elmer and Mary Ellen (McDonald) Flaherty. Bob is survived by a sister-in-law Margaret Flaherty of Minnetonka, MN and many nieces and nephews. In lieu of flowers, memorials may be made to Spring Valley Hospital Hospice.